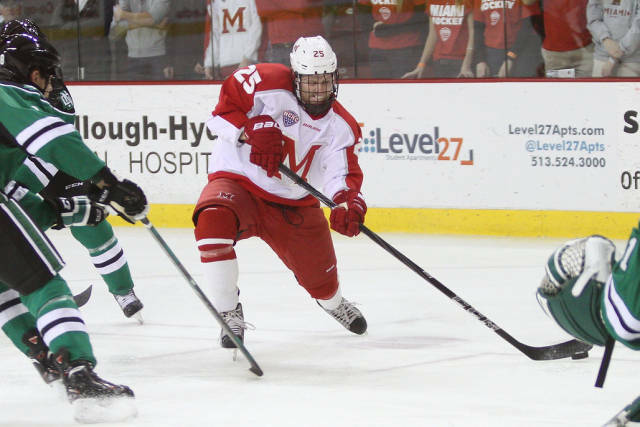 The Miami RedHawks headed to Kalamazoo last weekend in search of an identity. They were starting off the second half of the season against a familiar foe, with a lot to work on. The defense needed shoring up, the penalty kill needed improvement and most of all, the power play was struggling in the first half, and it was time to figure things out. Going in, Coach Blasi most certainly wasn’t going to say that the trip to Western Michigan was going to be an easy weekend. In fact, as we said in our weekend preview, he was very complementary to the Broncos. But in the back of his mind, Rico had to be thinking of 6 points. Western Michigan is a team that Miami is very familiar with and has played well against in recent past. The Broncos were expected to have a down year, and were tied at the bottom of the standings with the RedHawks coming into the weekend. Miami was predicted to finish at the top of the conference and started the year as the #2 team in the country. As we are reminded of time and time again, matchups on paper mean nothing. “That’s why you play the games,” as they say. Miami allowed 3 shorthanded goals against, went just 1 for 13 on the power play (1 PPG on 5 chances on Friday, 0 for 8 on Saturday), and lost 2 heartbreaking 1-goal decisions. 0 points. Last place in the NCHC. In our time cheering for Miami sports, I know we’ve all drank the Drain-O kool-aid. This was one of those weekends for us here at the Blog of Brotherhood. Having taken our annual guys trip to Kalamazoo for the weekend, I can certainly say the beer and company were better than the hockey. 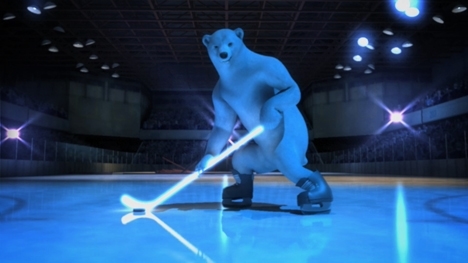 There were many times where we all looked at each other in disbelief as the events transpired on the ice before us. Friday night was just a night of missed opportunities and lackluster play. The shots after 1 period were 19-5 in favor of Western Michigan Friday night and the ice was heavily slanted in their favor. Scoring chances isn’t an NCAA statistic, but Western must have had 6 or 7 grade A chances that they couldn’t put past Miami’s Ryan McKay in net in addition to the one that did find paydirt. They played well the rest of the way, but a soft goal allowed by McKay and a controversial goal with 8.3 seconds left, and Miami was headed to the hotel with a sour taste in their mouths. 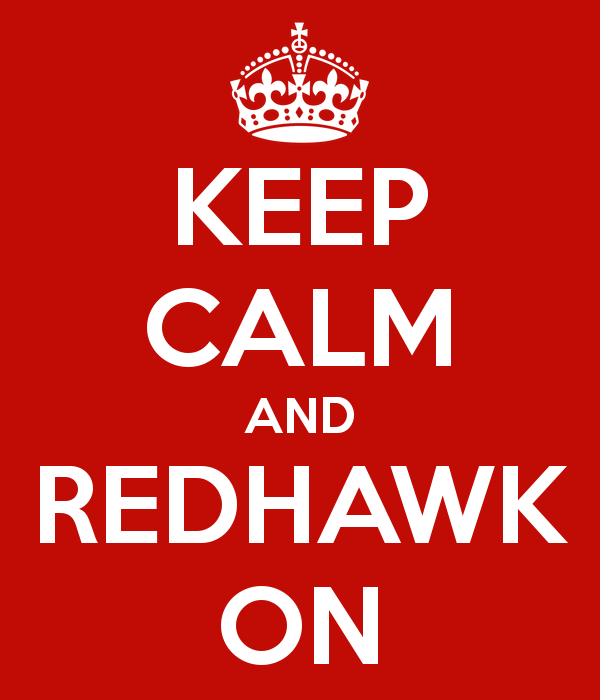 I actually think the RedHawks played better on Saturday night, even with several stats showing otherwise. First, they went 0 for 8 on the power play and were behind by 2 goals for a long chunk of the game (the only time that either team was ahead by more than 1 goal, by the way). Criticisms of the power play and lack of effort rained down from various RedHawks fans in attendance at times due to the out-of-character performance by several on the ice. One thing that I did see this past weekend was excellent leadership and guts by Sean Kuraly. Before the weekend, Kuraly was given an A on the newly minted sweaters for the RedHawks (more on the jerseys to come). I can’t say enough about the hustle, determination and sheer disregard for his body that Sean showed all weekend, and Sean certainly earned his Assistant Captain position last weekend. From our vantage point, it was clear that Sean was the best player on the ice for either team both nights. On Friday night, Kuraly had 2 goals on 4 shots, went 11 for 24 on faceoffs, and I’m certain would have recorded 5 or more hits on the night if it was a recorded statistic. Saturday’s line would only see Kuraly receive an assist with 5 shots, but he did have a goal that would have been unassisted had the referees not overturned the call on the ice (due to goaltender interference). Max Cook was also awarded an Assistant Captain’s “A” on his sweater for the weekend. The senior from Frankfort, IL is just 7 games away from playing in 100 in a RedHawks sweater and has 19 hard-earned points over those 93 games, playing mostly on the 2nd and 3rd lines during his time at Miami. 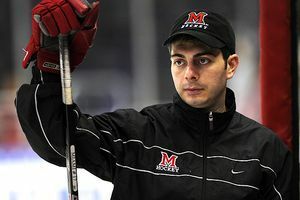 As you can see from the recent tweet from The Brotherhood (link), the RedHawks donned new sweaters last weekend. These are a return back to the jerseys of the last several years. There have been many (unconfirmed) rumors about the jerseys over the course of the first half of the season, and it appears that the bedazzled look of the first half of the year wasn’t cutting it for the RedHawks. In the end, after a color issue for the first weekend of the year (see: jersey sale in the Goggin Pro Shop) and a general dislike for the jerseys from many fans, it seemed that the jerseys were not doing the job and Miami made a switch off of the Nike jerseys to these new Adidas jerseys. 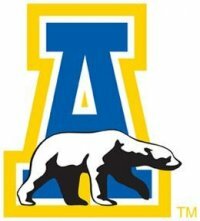 This also aligns the hockey team with the rest of the university in terms of their outfitters – a wise choice on all fronts. For a while this week, I thought of writing this piece with the thought that the 2 one-goal losses didn’t seem indicative of how the games were played this week. In the end, I really didn’t like how Miami played, with the exceptions of Kuraly and Cody Murphy, who is always hustling, the RedHawks didn’t impress me much last weekend. This weekend, Miami welcomes the Mavericks of the University of Nebraska-Omaha. These will be the first games in Goggin since December 7th and 8th – a span of 7 weeks. Welcome home, indeed. If you remember, the weekend before Thanksgiving, Miami traveled to Omaha and got spanked by scores of 6-3 and 3-1. At that point, Miami was starting to realize life in the NCHC was going to be tougher than they thought, and after the 2 wins, UNO found themselves in first place in the new conference. On Friday night back in November, Miami was up 1-0 after the first, but UNO scored 5 second period goals en route to the 6-3 win and Miami was shell-shocked the rest of the weekend. There was no coming back from that devastating period and Miami’s slide had begun. At present, Miami sits in the cellar of the NCHC, a conference they were picked to win at the start of the season, and are a whopping 13 points behind first place St. Cloud State. At 3-7-0 in the NCHC, there’s a lot of work to be done over the last 14 games of the season. UNO is in a tie for 3rd in the conference – a position not many expected to this point in the 2013-14 campaign. There are 14 games left for the RedHawks, and this weekend is critical to their success in the conference as well as their hopes to make the NCAA tournament come March. If you remember this past weekend, Austin Czarnik was hit high during the second period of the Friday night game in Kalamazoo. It was a hit that didn’t really look to cause any grief for Miami’s Captain at the time, but Czarnik didn’t play a whole lot in the second and was not on the bench for the third when Miami let the game slip away. Then on Saturday, Czarnik was in his Miami warm-ups and was a spectator in the stands and would disappear into the locker room with the team at each intermission. We cannot confirm nor deny what happened to Czarnik (because we simply don’t know), but he was out with an undisclosed upper body injury. While a concussion is still a serious injury, I’m hopeful that this is all it was, as this usually means a short turnaround time. With a shoulder, collarbone or other upper body injury, he could miss an extended period of time. We will see tonight whether Czarnik is on the ice or not. Blake Coleman also didn’t play last weekend, as he is still recovering from a suspected collarbone injury suffered on Friday December 6th against Denver (he was seen in a sling in Goggin also spectating that Saturday’s game before the holiday break). Again, no confirmation if that’s what the injury is/was, but Blake may also make return this weekend against UNO. Both games will be televised on Miami All-Access, and Friday’s Game is Televised Locally on Time Warner Cable. Enjoy the games RedHawks. Let’s get a W (or 2?) this weekend! In front of Miami’s 6th consecutive sellout crowd at Steve “Coach” Cady Arena, Miami played a gritty style of hockey and came away with a thrilling 2-0 victory over the 12th ranked Wisconsin Badgers. Miami and Wisconsin would play a scoreless first, with Wisconsin really having the better of the few chances there were to go around. Late in the first, Wisconsin forward Joseph LaBate fed a pass across the slot and the entire arena thought it was 1-0 Wisconsin. As the puck got over to linemate Matt Zengerle, the puck skipped, however, and the scoreless tie was in tact. Ryan McKay hasn’t allowed a goal on Friday night this season. Ryan McKay was quick to point out that despite his 3 consecutive Friday night shutouts, it’s not all him. “It’s a credit to our team defense. Compared to the beginning of the season it’s a dramatic difference.” McKay never really looked to be in danger of letting a goal in, and Miami’s team defense was stifling all night. In his last 4 starts, McKay has 114 saves on a possible 116 shots. In addition, he hasn’t allowed a goal on Friday night this season (he was swapped with Jay Williams for the Canisius series 2 weeks ago), and now leads the NCAA with 3 shutouts. From beginning to end, it seemed that come hell or high water, Riley Barber and Austin Czarnik were going to be held off the score sheet. Wisconsin took one penalty stopping Barber in front of the net, and could have had 2-3 more because of his strong play. On the other end of special teams, Miami is now perfect on their last 15 penalty kill chances. Miami killed their last 2 penalties against Canisius, followed it up with 5 kills each night in St. Cloud and killed all 3 chances tonight. Despite the goaltending and defense, the line of the night was the Cody Murphy, Coleman and Louis line. The three RedHawks posted a combined 10 shots, were +3, and were seen killing penalties seemingly at will. Well, rest easy Coach. Tonight’s win, while out of conference, runs Miami’s record to 7-3-1 and relieves some of the pressure from their shoulders for tomorrow night, allowing them to play loose and free once again. Expect more of the same from the RedHawks they try to sweep the Badgers in Oxford. Once in a while you have to play the little guys and put a whooping on them to make yourself feel good about life. This past weekend, Miami did just that, posting 2 3-goal wins over Canisius. The RedHawks completed their second sweep of the season, handily beating the Golden Griffins 3-0 and 5-2 in Oxford. As we mentioned in our weekend preview, it was Canisius could have been a team that jumped up and stole a win from Miami. They’re not a bad hockey team, and Miami did well to remain focused and earn two solid victories on the weekend. With no scoring from the top line, the star of the night was Alex Wideman, who had two laser shots over the shoulder of the Canisius goalie to score his 3rd and 4th goals of the season. Wideman was quick to give credit to his teammates on both goals: “The first goal was all (Blake) Coleman and (Cody) Murphy. I’m usually a passer, but I decided to shoot on the first one.” He was also in the right spot at the right time and gave credit to Anthony Louis on his second goal for making a great play. Coming into this season, there was some trepidation as to where the secondary scoring was going to come from. Of course, Riley Barber and Austin Czarnik were expected to score buckets of goals, but Friday was a typical night for these two that they can expect for the rest of the season in the NCHC. Guys like Wideman, Coleman, Jimmy Mullin, Louis and Alex Gacek will need to continue to score to keep the RedHawks at the top of the polls and NCHC standings. Ryan McKay stopped just about everything thrown his way and was named the second star of the night. However, I tweeted it during the game and after watching the replay, this shutout really falls to the defense. They played great as a team, blocked 13 shots overall, and allowed 9 shots in the final 2 periods combined. 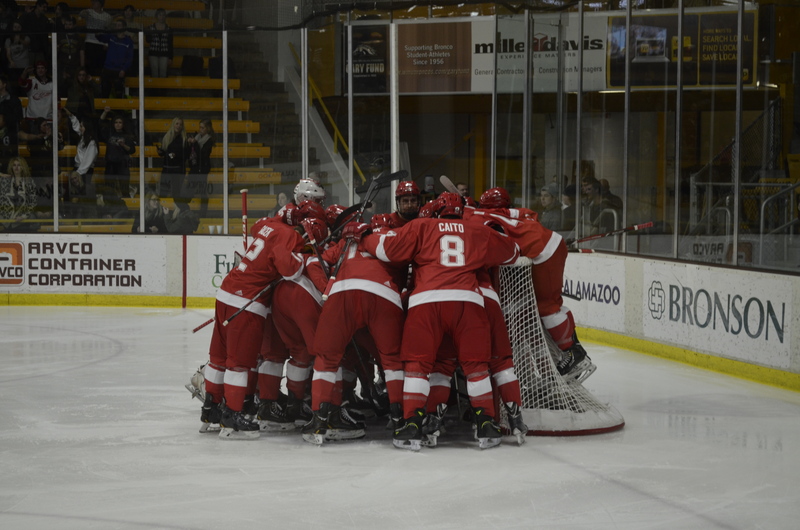 On Saturday, Blasi was pleased with the performance in the defensive zone, and the RedHawks continued their streak of single-digit shots in a period, allowing just 5 in the first. Jay Williams looked spectacular in net. He only had to face 23 shots, and sure, he let in 2 of them. But really, this could have been a track meet and a 5-5 game if it wasn’t for Williams spectacular saves throughout the game. On top of looking good in net, Williams was credited with an assist on Anthony Louis’s goal – the eventual game winner. 3. The Goaltending Super-Duo of Ryan McKay and Jay Williams – McKay shutout Canisius on Friday night, and Williams followed that up by stopping 21 of 23 and added an assist on Saturday. 2. Alex Wideman – When the top line doesn’t score, Wideman is there picking up the slack and now has 4 goals and 2 assists on the year. 1. Blake Coleman – 4 assists on Saturday night. Throw in a goal on Friday night and Blake Coleman is one of the hottest scorers for Miami right now. There’s another big matchup on the schedule this weekend, and the #7 RedHawks are in northern Minnesota for the matchup with #3/4 St. Cloud. This weekend’s opponent will be the third Miami foe that has been ranked in the top 10 of the national rankings. Miami earned a split at home against North Dakota, then lost and tied at Providence a week later. 3 out of the last 4 weekends and 3 of 5 overall against top 10 teams is quite a strong schedule – currently the 6th hardest in the country. Second on that list? St. Cloud State. It’s a huge weekend for us. They are playing extremely well, sweeping North Dakota in Grand Forks. They went to the Frozen Four and they are well coached. This will be one of the most complete teams we’ll play all season and it’s coing to be a big challenge this weekend. This is just another step. We have to go in ready to go against a veteran experience team that is playing extremely well. Probably the most complete team I’ve seen in this early season. We’re going to have to play our best. Last year was last year. They have some guys that have graduated and so do we – it’s a new season, we won’t coach that way. We’ve got a lot of things to work on and we know how good SCSU is. We’re going to put our best foot forward and we have to play well. Any time you go on the road in our league it’s gonna be tough. You have to be sure you’re doing all the little things right. The Hawks won on Friday night despite not getting a single point from Riley Barber or Austin Czarnik. Blasi had this to say about their performance: “They had some great chances, but that’s going to happen. If you watch the game, our opponent is going to key in on those two guys. Every time they touch the puck, there are three guys on them. It’s not that they didn’t have their chances, they just didn’t go in. As they got better throughout the game, our team started to roll.” You can expect a whole lot more of the same this weekend in St. Cloud, and getting a solid start on Friday night will be crucial. This weekend, Miami will need to be on point with their power play. SCSU (5-0-1 overall, 2-0-0 in the NCHC) just doesn’t take penalties, having only 21 penalties (50 minutes) in their first 6 games. That’s an average of just 8 minutes a game, so if Miami expects to continue to stay near the top of the NCAA with their power play, it won’t be because they will have a lot of chances. I am hopeful that the Miami penalty kill will be fixed this weekend, but St. Cloud’s numbers can be deceiving. They played North Dakota in their only other NCHC matchup to date, and North Dakota is tops in the nation on the penalty kill – having killed 28 of 29 penalties this year. I’m not so much concerned with the power play, but if there aren’t any chances, then Miami is going to need to get the job done on 5-on-5 play. 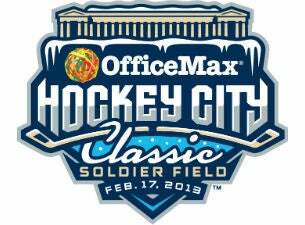 The action starts tonight at 8:30 Eastern Time and Saturday at 8:00 pm. Miami coverage for All-Access subscribers will be available (audio only), and St. Cloud’s video service will also be available for a fee. Guess what…another potential top 10 matchup! Miami hosts Wisconsin who is currently ranked 13 in the USCHO poll and 12 in the USA Today poll. Friday’s game is a rare 6:30pm start time to make way for CBS Sports TV coverage. Saturday’s puck drop is the normal 7:00 pm start time. 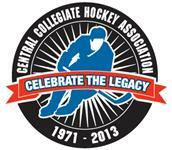 begins this weekend for 16 NCAA teams. This Saturday, Miami’s NCAA tournament run takes a trip through Toledo, Ohio, as the RedHawks take on the Minnesota State Mavericks. There are some interesting storylines that my co-blogger redhawk95 laid out for you: Miami can’t win the big games and a “one and done” is forthcoming. Well fear not, RedHawks. I think Rico Blasi and the youngest Miami team in decades have more going for them this weekend than previously expressed.